Christians in the west have had an easy ride for the last couple of centuries, with freedom to practice their faith, meet together, read and teach the Bible and evangelise. This is unusual compared with the experience of most Bible-believing Christians throughout history and worldwide today. But things could be changing. For how much longer can these freedoms be guaranteed? The Good Book Guides have been developed to ensure that each session not only seeks to uncover the meaning of the passage and see how it fits into the big picture of the Bible, but also leads people to apply what they have learnt to their lives. Flexible and practical, the Good Book Guides are ideal for small groups, or individual study. 1 Peter: Living in the Real World by Tim Chester was published by Good Book Company in August 2013 and is our 13943rd best seller. The ISBN for 1 Peter: Living in the Real World is 9781907377853. 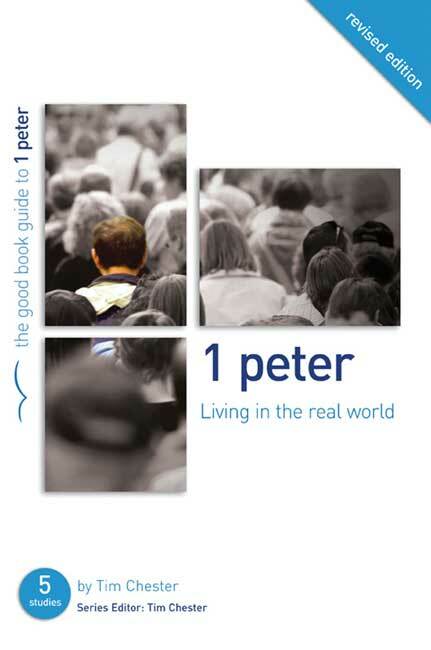 Be the first to review 1 Peter: Living in the Real World! Got a question? No problem! Just click here to ask us about 1 Peter: Living in the Real World.